I am a self-proclaimed foodie. I search through social media satiating my food lust looking at delicious plates of dishes. Some food is so tempting that it gives me life. One of those foods that I discovered is the Brownie Bottom Cheesecake. What kind of sorcery is this? It is the foodie magic found in the Kraft recipe I am about to share with you. Preheat oven to 325°F. Microwave chocolate and butter in large microwaveable bowl on HIGH 2 min. or until butter is melted. Stir until chocolate is completely melted. Add 1-1/2 cups of the sugar; mix well. Add 2 of the eggs, one at a time, mixing on low speed after each addition just until blended. Add milk and 1 tsp. of the vanilla; mix well. Combine flour and salt. Gradually add to chocolate mixture, mixing after each addition just until blended. Spread evenly into greased and floured 9-inch springform pan. Bake 25 min. Bake 55 min. to 1 hour or until center is almost set. Run knife or metal spatula around rim of pan to loosen cake; cool before removing rim of pan. Refrigerate 4 hours or overnight. Let stand at room temperature 30 min. before serving. Store leftover cheesecake in refrigerator. 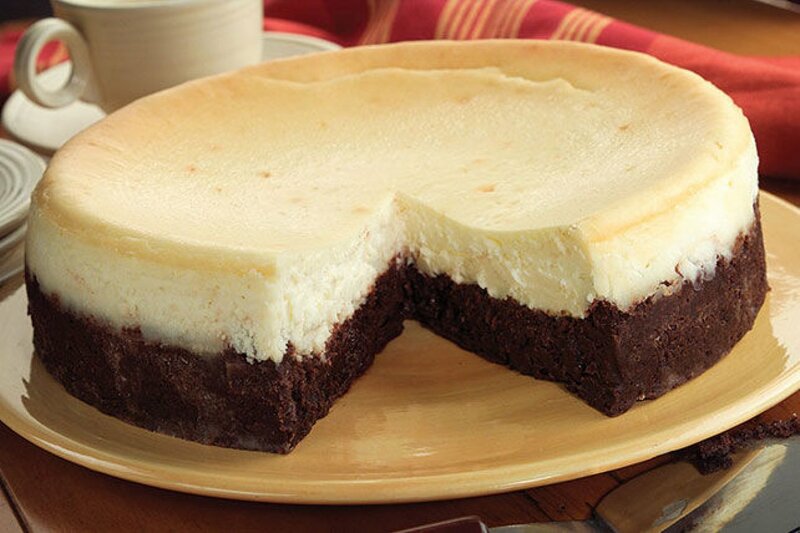 This is the basic Brownie Bottom Cheesecake recipe that Kraft has provided. If you are anything like me, you will play around with the recipe and try different flavors. I would love to try a coffee or espresso flavoring; maybe keep the vanilla cheesecake but have a coffee or espresso brownie bottom. Besides this basic recipe, what flavorings would you add to make your Brownie Bottom Cheesecake unique?